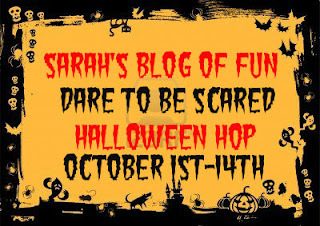 SARAH'S BLOG OF FUN: Dare To Be Scared Hop Ends Tonight. Dare To Be Scared Hop Ends Tonight. These terrific giveaways end tonight!! Hurry and enter!!!! Tons of fun goodies to be had!! !